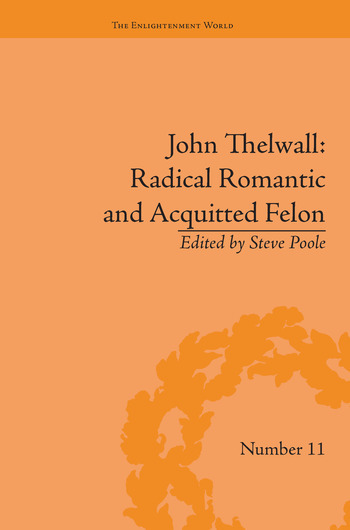 John Thelwall was a Romantic and Enlightenment polymath. In 1794 he was tried and acquitted of high treason, earning himself the disdainful soubriquet 'acquitted felon' from Secretary of State for War, William Windham. Later, Thelwall's interests turned to poetry and plays, and was a collaborator and confidant of Wordsworth and Coleridge.